Dr. Gaurav Singla, MBBS, MS(Ortho), MCH(Ortho), is a practising Senior Consultant Orthopaedics, Joint Replacements, Spine & trauma surgeon. Before that, he had career stints with GMCH 32, Chandigarh, Fortis Mohali & other hospitals in the tricity region. 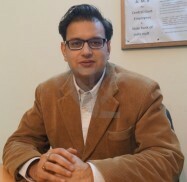 Dr Singla also has international experience of working in Starcare UK, Muscat Hospital. Dr Gaurav has done MBBS and M.S (Ortho) and after that went to Canada for advance course in M.Ch. Dr Gaurav singla did Fellowship training in Revision joint replacements, Adult joint reconstructions, Musculoskeletal cancers from Mt. Sinai hospital - Toronto and is a Fellow Hip, Knee, Shoulder Joint Replacement, & Musculoskeletal Cancer (FHKR). He specializes in treating patients suffering from bone, joints, muscles & nerves problems like fractures, osteoarthritis of knees, hips, rheumatoid arthritis, disc prolapse, spinal canal stenosis, nerves compressions, Gout ( increase of uric acid), cervical spondylosis, osteoporosis ( calcium deficiency), Numbness & tingling sensations of hands, feet & fingers, weakness of nerves, muscles & bones, problems related to any joints like hip, knee, ankles, shoulder, elbow, wrist, spine, pelvis & ligament injuries. Dr Gaurav Singla does surgeries like Revision high flex ( american technology)long lasting total knee joint replacements, minimally invasive ( small incision) knee, hip joint replacements resulting in faster recovery, less blood loss and shorter hospital stay. He also do mini-incision disc (spine) surgeries like microdiscectomy, foraminotomy & operations for all complex fractures with various modalities like locking plates, nails. He is having vast national & international experience in this field of around 15 years with almost 100% success rate in joint replacements with possible cross legging & squatting. He has attended lot of workshops & conferences to keep the knowledge uptodate & introduction & refinement of new techniques.